B Fee Building, depository protected. Electronic lock Dimensions. Outer: 21 in. L x 30.75 in. W x 27 in. H. Interior Left Door: 18.5 in. L x 13.75 in. W x 17.5 in. H. Interior Proper Door: 18.5 in. L x 16.5 in. W x 26.5 in. 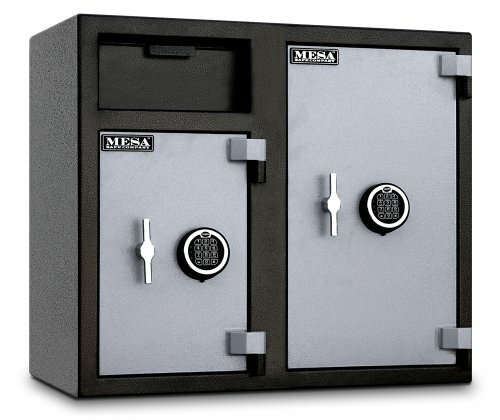 H. Weight: 247 lbs.. Mesa’s MFL series depository safes are designed for cover towards robbery in addition to inside robbery, permitting fast deposits and protected storage for cash and miscellaneous valuables with out exact get right of entry to within the protected. Additionally they offer protection to cash collections where fast deposits are required.